Departing for LOVE: How much luggage are you checking in? Most people at one point or another is going on the same trip to find love. Depending the ticket you buy, you may have a non-stop if you are lucky or multiple layovers. The best part of traveling is the adventures along the way but one of the worst things is packing. And every person packs differently. Two people may be going to the same vacation: person A brings a carry-on and a backpack while person B brings 2 full-size, a carry-on and a backpack. Even if the both people are just carrying a carry-on, one may put the bare essentials in it while the other person’s barely zips. 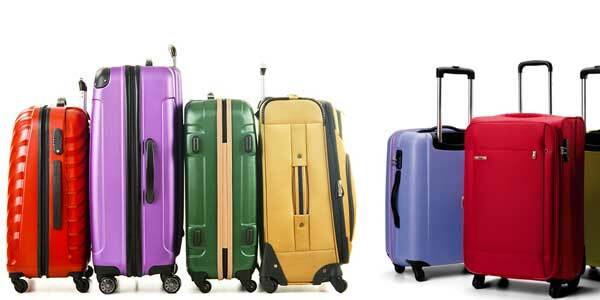 One luggage may include several heartaches, a divorce, abuse, insecurity, or other emotional battle wounds. The other includes kids, bankruptcy, a bad past, and of course various addictions. Family issues, personal and work issues. There is no right or wrong on how much luggage you should pack. Some emotional scars are so bad, it may be like leaving your luggage unattended and having a ticking time bomb dropped inside. When you travel alone, you can take as many bags as you want. But when you find the perfect travel partner, just like in any relationship you need to adjust. If you both have 2 full sized luggage, you may need to rent a bigger car to fit. As you enter a relationship, think of how much luggage you are bringing and what is inside. Do you need all of it or can you take certain items out? Can you let go of the anger and pain from a prior relationship and start fresh? Can you get rid of your vices that has ruined many parts of your life? The lighter your luggage the better for you and your partner. It means you are more mobile, flexible, and there is less chance to lose stuff. If you cannot get rid of the rocks that are weighing it down. It may be a good thing to continue traveling alone until you are ready.